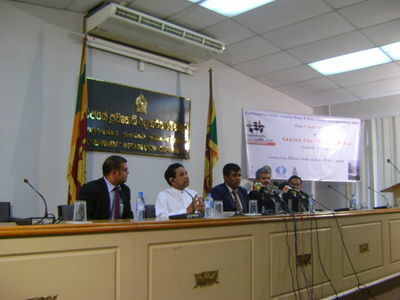 The Chess Federation of Sri Lanka, under the auspicies of the Asian Chess Federation, will conduct the Asian Junior Boys and Girls Chess Championship 2009. This is the most prestigious Chess Event for the Junior players of Under 20 years in Asia and it will take place 1st to 8th July 2009 at Ceylon Continental Hotel, Colombo. This 33rd Asian Junior Chess Championship will be conducted according to the Swiss System in 9 rounds. There will be games on 2nd evening, 4th and 7th Mornings and 3rd, 5th and 6th hole day. The morning Games will start at 9.00 a.m. and Evening Games will start at 3.00 p.m. The Opening Ceremony will be held on 2nd of July 2009 at 9.00 a.m. while Prize Distribution function will be on 7th July 2009 at 6.00 p.m. The 14 Year old, Current Women’s National Champion Sachini Ranasinghe(Musaeus College), who just won the Women’s National Championship title yesterday will lead the Sri Lankan contingent in the Girls event while Dinushki Premanath(Girls High School, Kandy), also 14 Years will join with Sachini. 16 years Lahiru Hapuarachchi(Dharmaraja College) who was the 3rd in the Nationals will lead the Boys contingent. We expect about 30 players from Sri Lanka will participate in the both events. India is expected to send the largest delegation, expect more details later on Chessdom.com! Special thanks for the information to the Hon. Secretary of the Sri Lanka Chess Federation Luxman Wijesuriya. 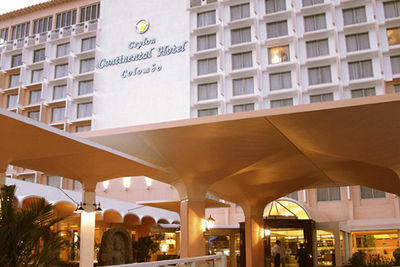 The Ceylon Continental Hotel, Colombo, has come forward to sponsor this event as the main sponsor. It will be the venue of the Junior tournament.